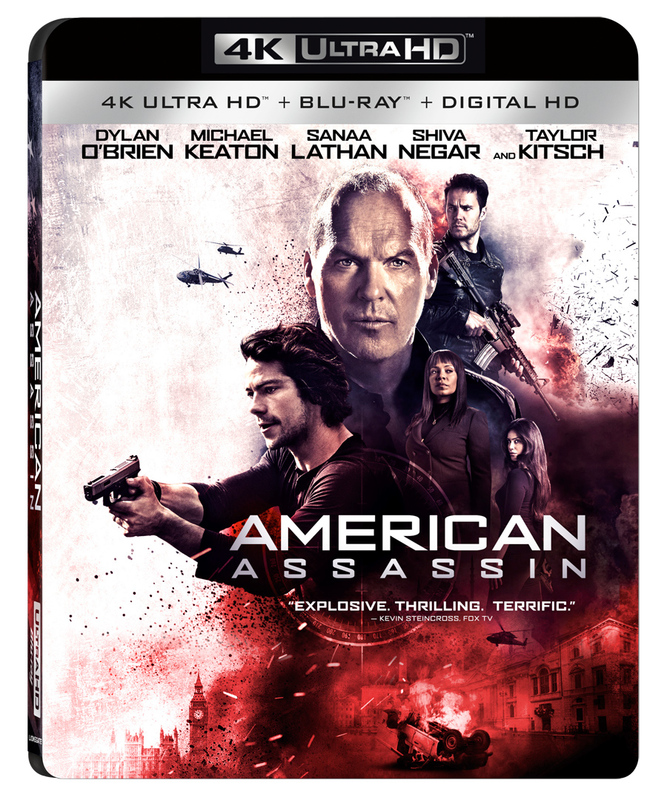 Lionsgate Home Entertainment has announced the date and released artwork for the suspense/thriller, American Assassin starring Dylan O’Brien, Michael Keaton, Sanaa Lathan and Taylor Kitsch. Click on the link below or image to the left to check out the features and artwork. 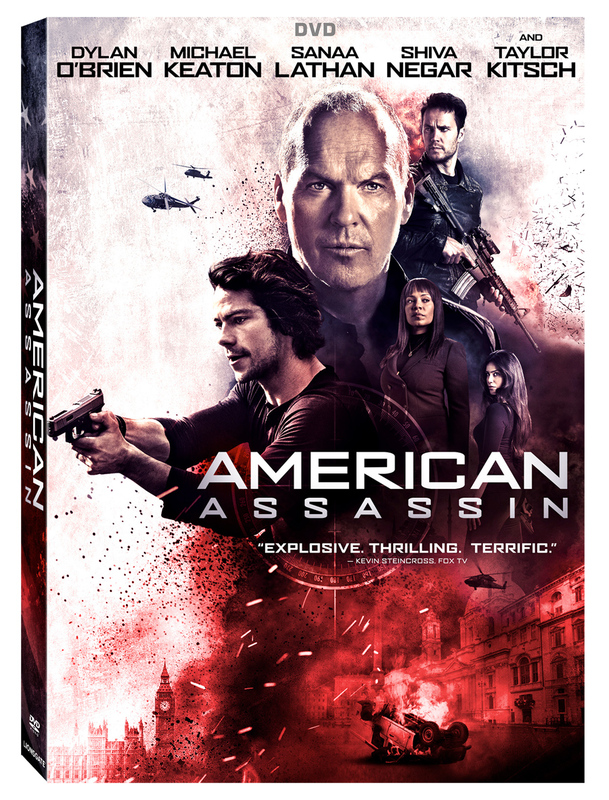 Lionsgate Home Entertainment has announced a December 4, 2017 release date for American Assassin. The 4K UHD and Blu-ray will come with a Dolby Atmos track while the DVD will have the usual Dolby Digital 5.1 audio mix. The 4K Blu-ray Combo Pack, Blu-ray Combo Pack, and DVD will be available for the suggested retail price of $42.99, $39.99 and $29.95, respectively. 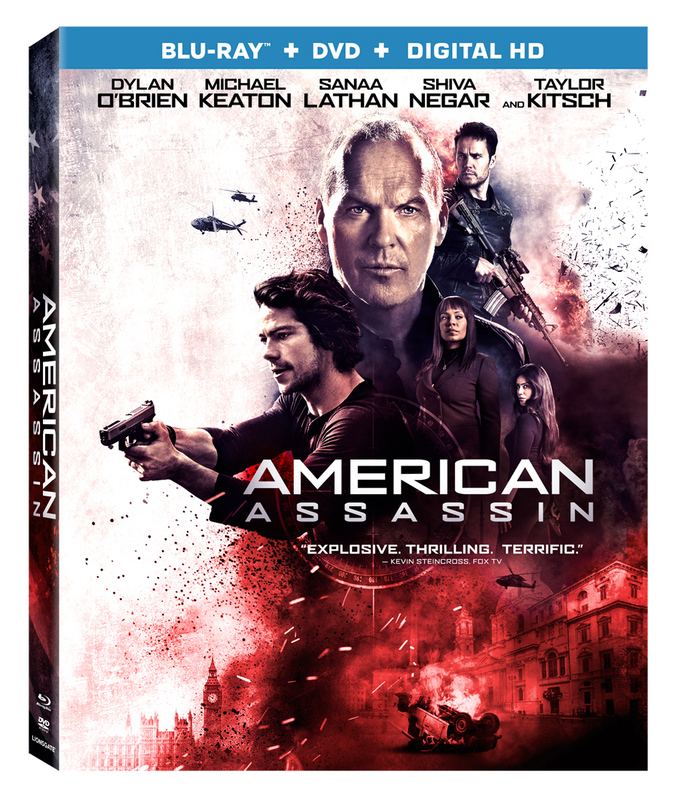 Synopsis: American Assassin follows the rise of Mitch Rapp (Dylan O’Brien), a CIA black-ops recruit under the instruction of Cold War veteran Stan Hurley (Michael Keaton). The pair is then enlisted by CIA Deputy Director Irene Kennedy (Sanaa Lathan) to investigate a wave of apparently random attacks on both military and civilian targets. Together, the three discover a pattern in the violence, leading them to a joint mission with a lethal Turkish agent (Shiva Negar) to stop a mysterious operative (Taylor Kitsch) intent on settling a personal and professional vendetta that could have cataclysmic results.